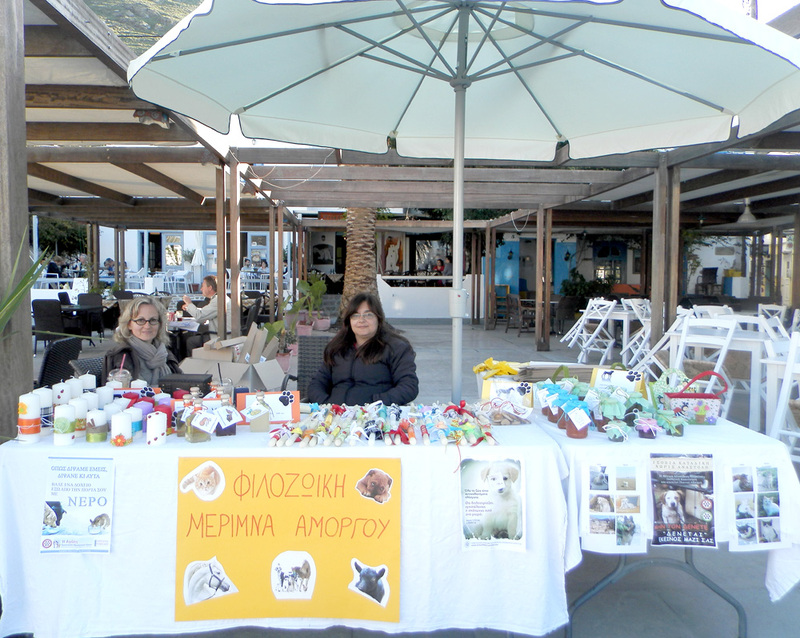 Every year Filozoiki Merimna Amorgou organizes an Easter bazaar to raise money for the animals. The bazaar ran from April 15-17, 2014, in the central square of Katapola. For sale were many beautiful candles, decorative Easter baskets, liqueur, tasty biscuits, sweets, jams and juices--all handmade. Visitors were also able to learn about the actions of the Filozoiki and how much work is being done to help the animals of Amorgos. It's wonderful when people support the efforts of the organization and buy their candles from the Filozoiki!